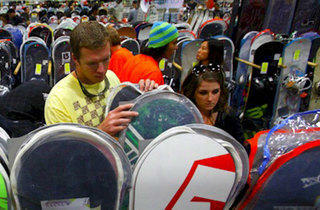 Ski Dazzle is the largest consumer ski and snowboard event in the world. 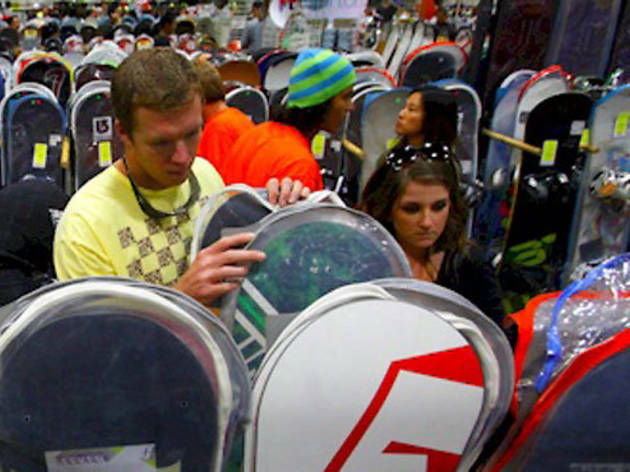 It might sound like a snow-themed pageant, but Ski Dazzle is actually the world's largest annual consumer ski and snowboard event. Come Downtown and experience 325 exhibitors and sponsors offering everything from retail merchandise (much of it discounted) and seminars to vert-ramp pro riders and wine and beer tastings. There's also an ice skating rink, free beginner ski school lessons, and ski competitions on a virtual slope. It all takes place in an area large enough to cover four football fields. Don't miss the Ski Dazzle discounts on lift tickets to the nearby Bear Mountain and Snow Summit, which include buy one lift ticket, get one free and $30 off any season pass. With entry to the show priced at just $20, it's a bright idea indeed.